An enlightening story told from the perspective of a soldier during the fall of the United States. 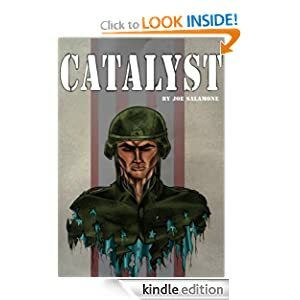 As war rages between the Americans, Chinese, and Russian Armies, a more important battle rages inside our main characters mind. Jimmy Smith, a former video game playing basement dweller is now part of the United States Army. When injured, Jimmy is thrust out into enemy territory in search of a hospital for rehabilitation. The journey experienced throughout these pages is for anyone willing to witness a man's guided pursuit of meaning in a world less forgiving than our own. Retired Air Force OSI agent Greg McKenzie thinks his troubles with the Metro Nashville Police are a problem. Then he brings a "souvenir" Dead Sea Scroll home from the Holy Land and things go from bad to worse. A Palestinian terrorist group invades his home, fails to find the scroll, and takes his wife, Jill, hostage. 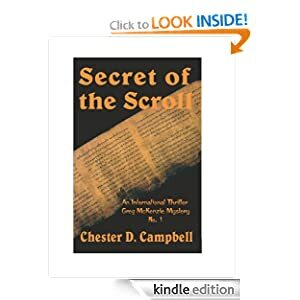 Greg finds himself with an ancient Hebrew scroll worth millions, wanted by both the Palestinians and a radical far-right Israeli organization. When he tries to exchange it for Jill's freedom, everything goes wrong. Then the police target him as a suspect in his wife's disappearance, and he sets out alone on a perilous chase to save her life. 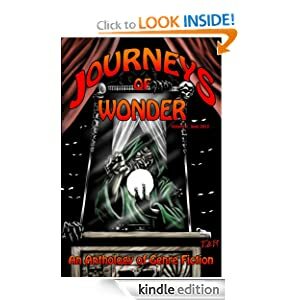 Journeys of Wonder is a new anthology of genre fiction. We’ve assembled three talented writers to bring you five chilling tales that are guaranteed to keep you up at night – or at least make you turn on the lights. The Door: Six people are stuck in a room with no memory of how they got there while a fear of the unknown keeps them from opening the only exit they have. Blackout: A terrifying tale of a young woman whose memory is shattered and a creepy neighbor who is not all that he seems. Infinity: Two brothers, forced to travel through time to save the world from an unspeakable evil, have little idea of what they have actually gotten themselves into. Eye of the Wolf: A young girl struggles against the power of the full moon as she tries to hide her deadly secret from her family. Afterdeath: In a future where our journey beyond death is no longer a mystery, the promise of eternal love waits, unless you break the rules. 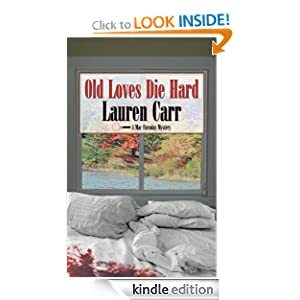 In Old Loves Die Hard, Lauren Carr continues the rags-to-riches story of Mac Faraday, an underpaid homicide detective who inherits two-hundred-and-seventy million dollars and an estate on Deep Creek Lake, Maryland, from his birth mother on the day his divorce becomes final. Mac is settling nicely into his new life at Spencer Manor when his ex-wife Christine shows up—and she wants him back! Before Mac can send her packing, Christine and her estranged lover are murdered in Mac’s private penthouse suite at the Spencer Inn, the five-star resort built by his ancestors. With the help of his new friends on Deep Creek Lake, Mac must use all of his detective skills to clear his name and the Spencer Inn’s reputation, before its five-stars—and more bodies—start dropping!